Donald Glover, who performs as Childish Gambino, attends the "Atlanta Robbin' Season" FYC Event in Los Angeles, June 8, 2018. 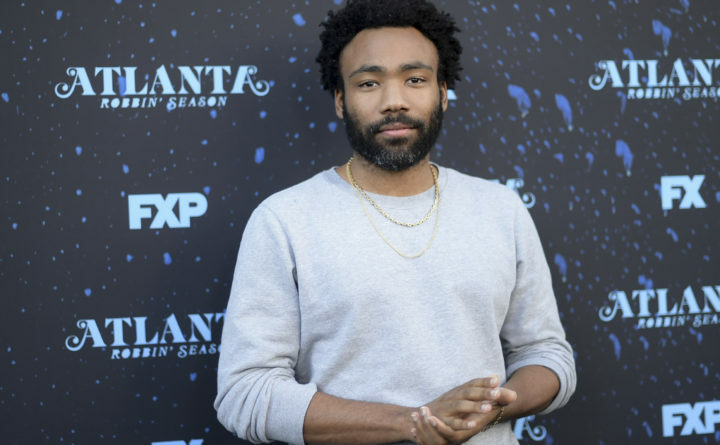 Glover won four Grammy Awards on Sunday, Feb. 10, but did not attend the awards ceremony. And that’s just one of the Grammys’ big, dumb problems of late. Another is denying women proportional airtime during the telecast. So, this year, the academy tried to tackle that one head-on by recruiting the serene R&B singer Alicia Keys to host the show. After sharing her opening monologue with a surprising cast of power-people – Lady Gaga, Jennifer Lopez, Jada Pinkett Smith and Michelle Obama – Keys spent the rest of the night oozing sincerity, trying to give this slog of a ceremony a coagulant warmth. Sunday already felt like progress. In the country bracket, Musgraves also won best country album, best country song and best country solo performance. In the R&B column, H.E.R. won best R&B performance and best R&B album. Lady Gaga won in various categories: best pop solo performance for “Joanne,” and best pop group/duo performance and best song written for visual media for “Shallow,” her new signature power-ballad from “A Star is Born.”And when the larger-than-life Cardi B accepted her award for best rap album, she seemed almost paralyzed by the honor. In the fun column: an eternally effervescent Dolly Parton leading her own delightful tribute performance, accompanied by Katy Perry and Miley Cyrus singing so hard that it was as if they were trying to harm that poor woman. Also, Shawn Mendes doing light Bruce Springsteen cosplay, and Camila Cabello, strutting her stuff alongside rap-genius-slash-zero-time-Grammy-nominee Young Thug, Menudo graduate Ricky Martin, Latin trap star J. Balvin and jazz maestro Arturo Sandoval in a wide-armed collaboration that shouldn’t have worked, but it did.